In case you missed seeing it up close and personal during Great Coffee in Common, here's what you need to know about the Synesso S200! Our friends in Seattle are bringing this all-volumetric, intuitively designed machine to the line-up, without sacrificing any of the sturdiness, reliability and build-quality the brand has built its reputation. In addition to the functionality developments, Synesso have also invested heavily in stream-lining production processes and materials, allowing the S200 to hit a price-point that makes this incredible value for the money, pricing below the ubiquitous La Marzocco Linea PB AV model. The new machine, with its subtler steam actuators, integrated digital display and streamlined cup rail is also a departure from the upright aesthetic of the Cyncra, MVP and MVP Hydra machines, with a lower stance on the bar allowing less separation between the barista and his/her customer. 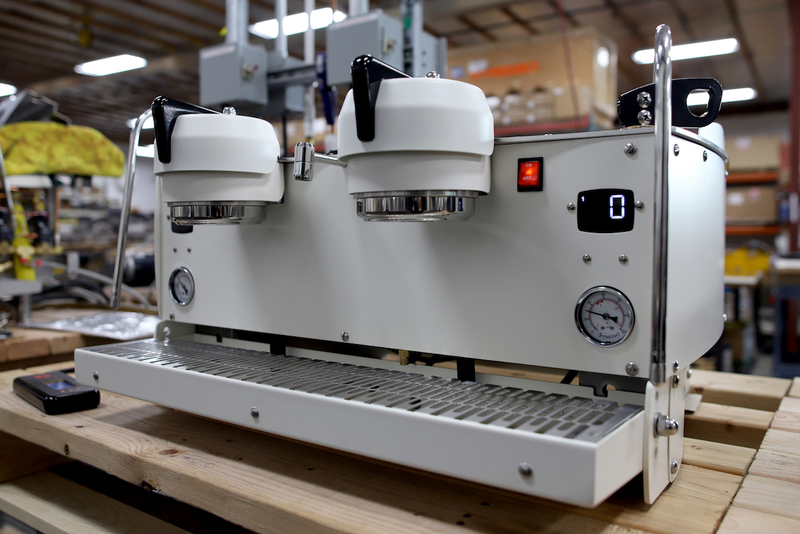 The Synesso S200 in all white. Photo courtesy of Synesso. Synesso is also looking beyond the S200, with the S300, a 3 group varient, to follow later in 2018 or early 2019. For more information on the machine, email us at wholesale@cmcroasters.com!